If you want to do something then stop feeling sorry for your self. Its not about how close you are to God but its about how close you feel to God. 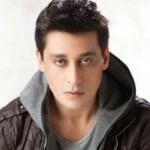 Sahir Lodhi made his first TV appearance in Chai Time on Indus TV, which became a hit morning show. Some of his shows are Shair Online, Kuch Tum Kahao Kuch Hum Kahain, Ranjhey Sassi Punoon Heer, Dhorajee, The Sahir Lodhi Show and Morning Masala.